Kokedama in your landscape is a project by Megan Singleton inspired by her desire to create art through interaction and spread information about local and native plants using the Japanese Bonsai method of containing plants into small moss balls, a technique known as Kokedama. At interactive events scheduled throughout the country installations of hanging plants covered in moss and handmade paper will be created using site-specific flora. At the events viewers are invited to become participants, by cutting down one of the plants and taking it back into their landscape. In return I have asked for an image of the plant in its new home and the coordinates of the location, which will in turn be mapped and documented on this site. 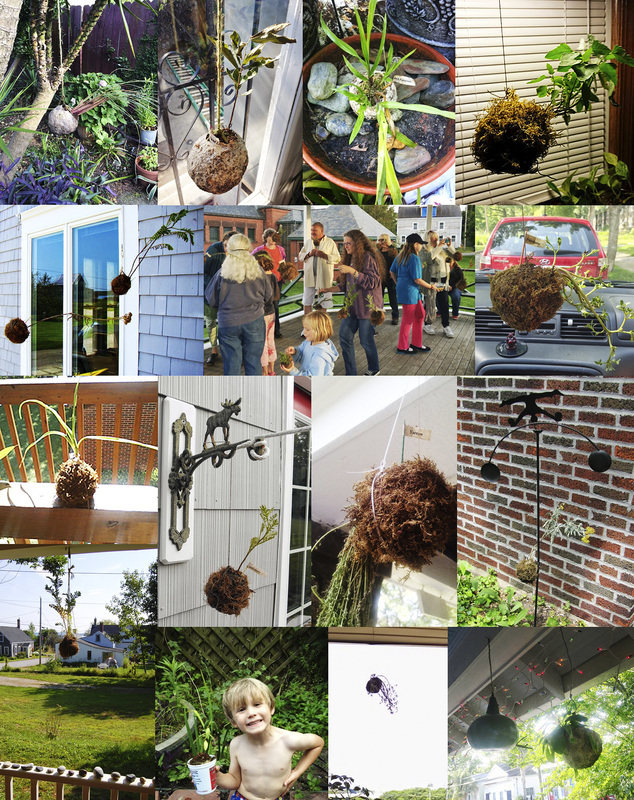 Click on the cities above to learn more about Kokedama in your landscape.